A beautiful statement cushion, handmade in London by Stoff Studios. Inspired by the lines of the body, this print has a gestural, painterly quality. Hand-printed using reactive dyes onto a heavy weight textured hand-dyed linen. The cushion comes with a contrasting zip and feather cushion pad inside. To care for your cushion, hand wash gently in cool water or dry clean. Iron on reverse side only. 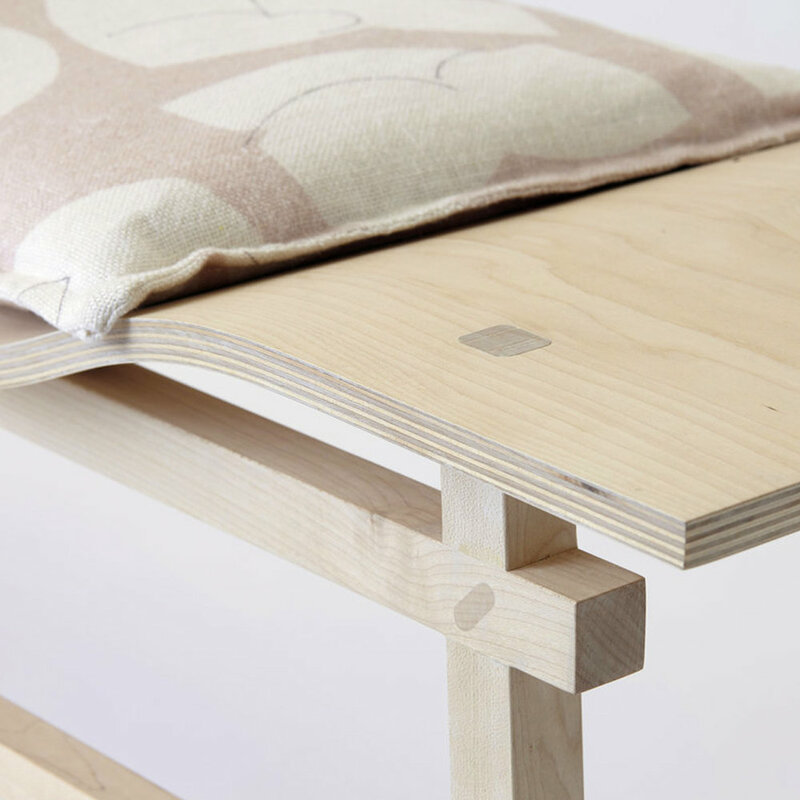 Stoff Studios is a partnership founded in 2015 between Carys Briggs, a textile printer who trained at both the Royal College of Art and Central St Martins and Andrew Mason, a designer and maker of furniture, who studied Sculpture at Camberwell College. The fabric pieces are inspired by gestural mark making and mono printing techniques and their soft lines are reflected in the fluid, sculptural forms of their furniture. Their pieces are made to be loved and touched and, they believe, improve the more they are used.